One tries to stay busy. While most of my time over the last few weeks has been spent deciding which of my hipster vintage T-shirts to bring with me to Europe, I have managed to squeeze in some actual musical stuff as well, because I can multitask. First up, I've got a guest mix heading out this weekend on the airwaves as part of the straightforwardly-named Jules' Dance Show. The program is syndicated on a variety of radio and internet stations in Europe and elsewhere, actually come to think of it one may be airing as we speak. Head over to his homepage or his Facebook page for local broadcast schedules, or stick around on this exciting web site as I'll be offering the mix up for download... soonish. Also, as part of the Party Ben Mashup Stimulus Tour, technically kicking off next weekend in Europe, I'm doing a benefit gig in New York on Monday evening that's not only for a good cause but also tons of fun. 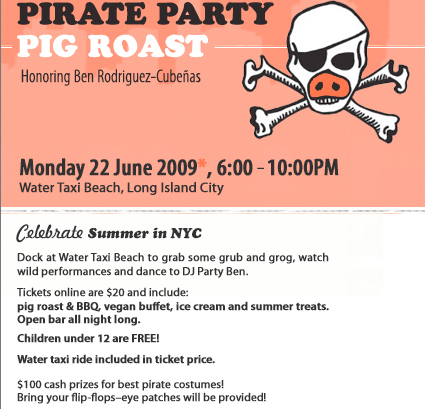 It's the Chashama Pirate Party Pig Roast, which combines many good ideas: supporting the arts, listening to mashup tunez, enjoying a lovely view of Manhattan, snacking on barbecued meats, and dressing up like a pirate. Plus you can take a special Water Taxi over there, since it's at the appropriately named Water Taxi Beach. More details at their web site. On the actual mashup front, I realized before the recent Academy of Sciences gig that I haven't made any mixes or whatever using older vocals in a while, and I was kind of jonesing for some new versions of classics to pop into my set. So I made some, and now you can download them and judge them for yourself. 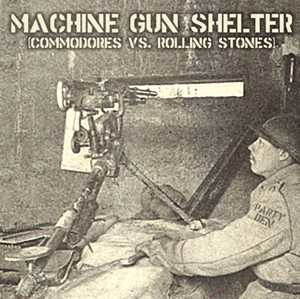 Commodores vs. Rolling Stones - "Machine Gun Shelter"
Is this, like, something everybody knows, that the funky instrumental track "Machine Gun" is totally copied directly from "Gimme Shelter"? Because I just figured it out, and illustrated it with the magic of mashups. 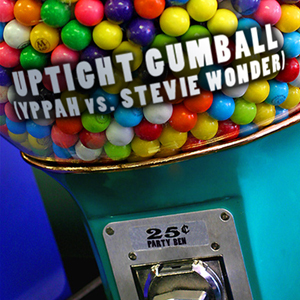 Yppah has made one of my favorite samply/psychedelic albums of the year, and while the "Uptight" vocal is way overused in the mashup universe, I couldn't get it out of my head. Anyway, I have to go back to putting socks in a bag, but everybody in the vicinity of Berlin, Munich, and Cologne, Germany; Sopron and Budapest, Hungary; Paris and La Rochelle, France; and Lisbon and Costa de Caparica, Portugal: get ready for Party Ben fun times. Support the arts in New York at the annual chashama shindig with snacks, drinks, pirate silliness and the DJ stylings of me. Take the Special New York Water Taxi service directly to the venue! 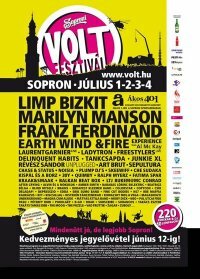 Hungary's biggest summer music festival! 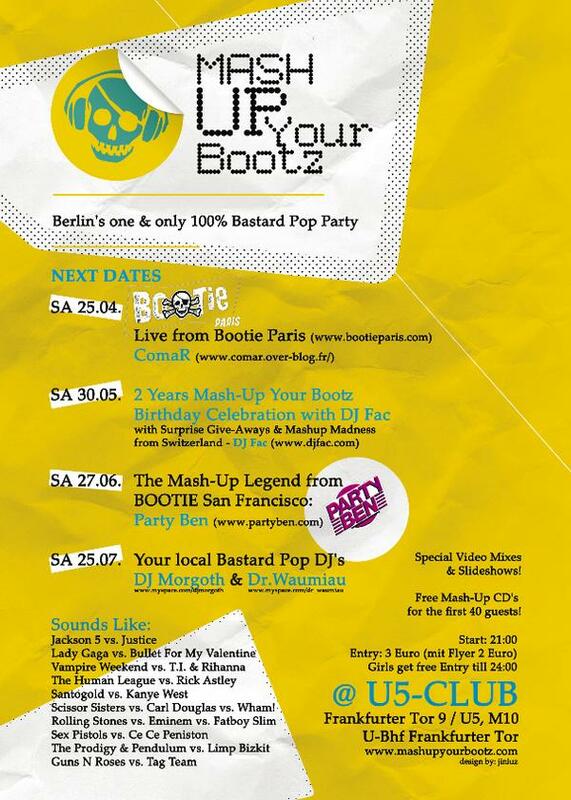 Featuring Marylin Manson, Franz Ferdinand, Earth Wind & Fire, Laurent Garnier, Ladytron, Freestylers, and a zillion more bands and DJs.